• The TracTurn stands for turning and side movement of the material. • The width of the compost windrow is irrelevant. 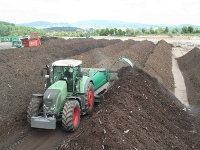 • During one run the Trac Turn turns up to 3.7 m of the compost windrow. 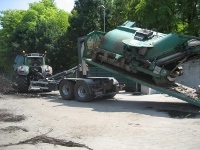 • If the compost windrow is wider more runs are necessary. 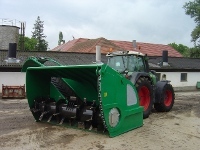 • For a turning performance of 1500 m³/h the TracTurn requires an input power of ~ 200 kW. be used for transportation as well. the performance and therefore to optimise your benefit.